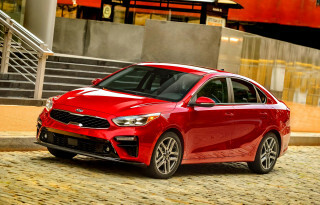 With Hyundai's Elantra Coupe gone for 2015, we'd steer you toward a Veloster hatchback for something a little more exciting--or to the distant cousin, the Kia Forte Koup. The Hyundai Elantra is a handsome economy car that's risen from the ranks to become one of our top-rated compacts. With a full feature set and good safety ratings, it outshines stalwarts like the Honda Civic and Toyota Corolla. Now offered in sedan and five-door hatchback guises, the Elantra is a great example of how quickly South Korea has learned from Japanese automaker successes and rewritten their playbook. However, the former Coupe model--only in the lineup for two years--has been dropped, leaving the Elantra as a two-car affair. Last year brought a relatively mild rework to the Elantra lineup. The accomplished styling of the current car received new front and rear ends, with LED fillips around the headlamps on Sport and Limited sedan models. The rest? It's still a convenient metaphor for Hyundai itself, more interesting and more accomplished than ever. The Elantra wears a complex set of curves that collect in one fell swoop toward the rear end, where the boomerang door cuts give it a shove forward. It's an energetic look backed up with a daring cockpit, with the hourglass of the center console a defining shape that just happens to function perfectly as a comfy knee rest. The Elantra remains lean and efficient, with a 1.8-liter four-cylinder engine standard in the base SE sedan and the Limited. Rated at 148 horsepower and 131 pound-feet of torque, this powertrain's fairly smooth and accelerates respectably through a six-speed automatic or a six-speed manual. There's a new 2.0-liter four in the Elantra Sport, with 173 hp. Generally, the Elantra doesn't feel as energetic or engaging as the best drivers in the class. Its throttle is slow to respond to inputs, and its steering could be quicker and more responsive: it's been improved with better on-center feel, but it isn't especially natural in its feedback. Ride quality is fine, though, and the Elantra soaks up road noise as well as, or better than its competitors, with noise levels about as low as some mid-size sedans. That's an important metric for the Elantra, since its interior space spills over into mid-size territory. The Elantra's an excellent value on many fronts. By its spec sheet, it's a mid-size vehicle, and it shows. The sedan's front seats could use a little more bolstering and lateral support, as in the coupe, but on either, they're surrounded by ample space in all directions. In back, the leg room is fine for adults, but head room can be tight, even for medium-height passengers. The Elantra's interior has lots of useful cubbies and storage bins, including a covered one that sits ahead of the shift lever: it also contains the aux jack, a power point, and the USB port in an easy to reach module, perfect for connecting smartphones. Last year, all Elantra sedans were rated at five stars overall by the NHTSA, and were IIHS Top Safety Picks, with an "acceptable" rating in the new small-overlap test. The IIHS has ratcheted up its standards, and the Elantra carries over the Top Safety Pick award for 2015. The Elantra sedan lineup now includes the SE, Limited, and Sport models. All Elantras come with power windows, locks, and mirrors; keyless entry; and (on automatic models) air conditioning; cruise control; Bluetooth with audio streaming; and telescopic steering. All versions can stream audio via the Pandora app and a USB connection. A 4.3-inch touchscreen radio with a rearview camera is now standard on the Sport and Limited sedans, and an option on the SE. All compound curves and flared surfaces, the Hyundai Elantra has one of the most captivating compact-car looks. The latest Hyundai Elantra was a styling milestone for the automaker. It took the themes of the bigger Sonata and honed them down to a flawless compact profile, flipping the Hyundai compact range out of the design doldrums into the fashion-forward set. Given the Sonata's right turn into conservative territory, the Elantra's now one of Hyundai's most daring pieces of work, right there with the Veloster hatchback. From almost every angle, the Elantra sedan looks like it's already in motion, usually a sign of good car design. The rear door cuts are particularly effective cues that seem to pull the shape taut for release, like a slingshot. From the outside, it's detailed with an expert eye, from the way the marker lights extend over the front wheel centers, to the steep cant of the windshield, to the crease that runs down the body, softening at the C-pillar. Or the way the rising shoulder line emerges from smooth sheetmetal just inches behind the lipped wheelwells. The Elantra's road manners are more capable than confident, and power is just okay. 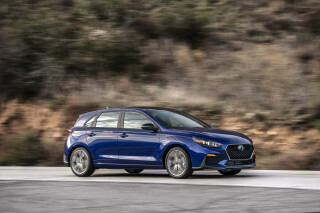 The Hyundai Elantra may fall a little shy of the performance paradigm set by VW, Mazda and Ford in this niche, but it's an above-average effort that drives at least as well as the current Honda Civic. The Elantra remains lean and efficient, with a 1.8-liter four-cylinder engine standard in the base SE sedan and in the Limited. Rated at 148 horsepower and 131 pound-feet of torque, this powertrain's fairly smooth and accelerates respectably through a six-speed automatic or a six-speed manual. Generally, the Elantra doesn't feel as energetic or engaging as the Ford Focus, though, because its throttle is slow to respond to inputs. Even so, the Elantra has a smooth idle, and stays calm throughout most of the rev range, an achievement that eludes larger four-cylinders and wasn't particularly a Hyundai strength in the past. In the Elantra, the four's right at home in the 2,500- to 4,500-rpm range—where it'll be pretty much whenever you're increasing speed with the responsive six-speed automatic transmission, which will be far more popular than the perfectly fine six-speed manual. Manuals get an ECO shift light, while automatics have an Active ECO mode that slows down shifts and throttle to boost fuel economy up to 7 percent. The finer inputs are what separates the Elantra from those other compacts. Its steering isn't especially natural in its feedback, though the wandering common to first- and second-year Elantra sedans has mostly been filtered out. Ride quality is sporty without feeling overly firm, and the Elantra comes with standard four-wheel disc brakes and a firm pedal feel--better than the cost-cut rear-drum setup that's now so common in this class. To add some luster to the spec-sheet numbers, a Sport sedan now comes with the 2.0-liter four we've experienced in the Kia Forte. In the Elantra sedan, it's good for 173 horsepower and 154 pound-feet of torque, up 23 hp and 25 lb-ft from the smaller four. We still haven't been able to drive an Elantra four-door with the new four-cylinder, though in the Elantra GT hatchback it's more notable for extra engine noise than vivid acceleration. 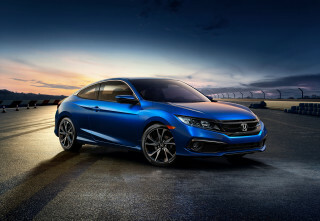 The Sport model comes with a round of handling changes that include three-mode steering on the SE and Limited sedan, stiffer shocks and springs and a bigger stabilizer bar on the Sport sedan, and revised steering feel on all models. The Elantra's cabin is finished very well, and interior space is above its compact pay grade. The Hyundai Elantra is marketed against the stalwarts in the compact-car class, but in reality, the Feds consider it a mid-size car, because of all the interior space and cargo room packaged under its sleek sheetmetal and glass. 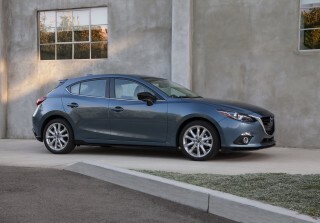 The distinction's important to keep in mind, because among all the compact sedans, it's one of the largest, up there with the VW Jetta--a world away from the very tight accommodations you'll find in a Ford Focus or a Mazda 3. The Elantra's generous proportions are put to good use. In the front seats, leg and head room are fine for even large adults. We would like to see better support baked into the front buckets, though, in the form of more bolstering and more bottom-cushion support, and some more length on the bottom cushion for long-distance touring comfort. The leaner head room in the back seat is where the Elantra's compact positioning is most obvious. The Elantra's no worse than most in the class in this respect--Volkswagen's Jetta is the standout here, with its outsized rear accommodations. Leg room's good, and it's easy to slide into the four-door's back bench. The Elantra gets kudos for offering rear-seat heaters, but it lacks air vents for warm air from the car's climate control system--again, like most vehicles in the class, and some larger vehicles, like the VW Passat. Mostly good crash-test scores get the Elantra pretty far, but it's due for automatic-braking hardware. Since it was introduced for the 2011 model year, the current Elantra has been reinforced and re-engineered to better its crash-test ratings. 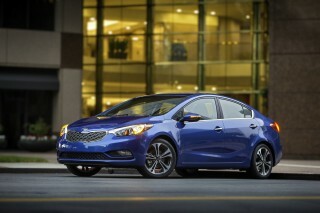 In its first model year on sale, it scored just three stars on the NHTSA's front-impact tests. But by the time to 2013 model year arrived, the Elantra's crash-test scores had risen to five stars overall, with a four-star rating for frontal impacts and rollover resistance, and five stars for side impacts. In testing over at the Insurance Institute for Highway Safety (IIHS), the Elantra sedan has earned the Top Safety Pick accolade, including top "good" ratings in all categories of testing--including the new roof-strength test. More recently, it was rated 'acceptable' in the new small-overlap test. With forward-collision alerts but without linked automatic braking, the Elantra hangs on to its Top Safety Pick award, but isn't eligible for the Top Safety Pick+ honor. If you must have leather and navigation, the Limited's a fair bargain--but the more basic Elantras are the real steal. Hyundai's made only minor changes to the Elantra's set of features for the new model year. It remains a great value, with a list of standard features that can make the more expensive models seem unnecessary. 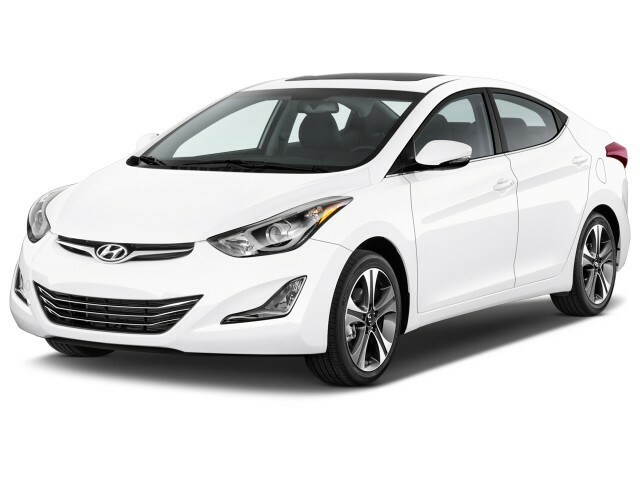 On the Hyundai Elantra SE sedan, you'll find standard cruise control; an AM/FM/CD player; a USB port; Bluetooth with streaming audio; keyless entry; power windows, locks, and mirrors; and on automatic-transmission cars, air conditioning and telescoping steering. On the next trim level higher, the Limited, the Elantra comes with heated front and rear seats trimmed in leather; 17-inch wheels; fog lamps; a sunroof; and turn signals mounted in the mirrors. From that equipment level, an optional Premium Package brings pushbutton start with a proximity key; an upgraded audio system; and a navigation system. Gas mileage was re-rated in recent years; it's still good, if not quite as high as before. 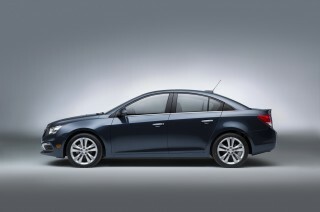 The Hyundai Elantra sedan posts good real-world fuel economy ratings, though it's behind the top entrants in the class. It lacks a specific model with aero improvements to reach the 40-mpg bogey; its competition offers special versions with aerodynamic tweaks, even different powertrains, to hit the magic marketing number. The Elantra sedan's rated at 28 miles per gallon city, 38 mpg highway, and 32 mpg combined when teamed with the automatic transmission. Those are the best ratings it musters, and we've observed close to the combined rating in test drives. 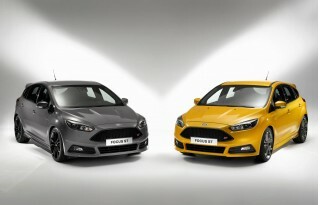 A high-economy version of the Jetta, Cruze, or Focus would perform better, but at a significant premium. With the manual transmission, the Elantra with the standard engine is rated at 27/37/31 mpg. Upgrading to the 2.0-liter four in the Sport lowers ratings for both gearboxes. 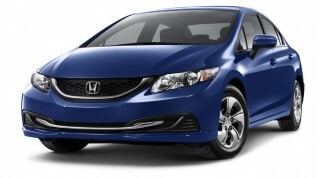 The automatic earns EPA ratings of 24/35/28 mpg, the manual 24/34/28 mpg. In December 2015, I bought a brand new Hyundai Elantra. I believe it is a fantastic car however, the lights are below average. The reversing camera is excellent during the day time but at night, has no... In December 2015, I bought a brand new Hyundai Elantra. I believe it is a fantastic car however, the lights are below average. Awesome car at a great price! I love this car! Drive it everywhere! Sunroof is amazing! Only problem is the acceleration, which is a little on the slow side. Otherwise, it's incredibly comfortable and perfect in every other way! wow. I have never driven a car that rattled as much as the Elantra. the worst road noise in the world, and omg. don't drive it in the snow. this car. gets 35.5 MPG"S> not 38. the interior is horrible. Best return of the investment. The car surpasses the conficence in driving of all other cars in similar price structure. Lots of standard features for the price. Nice styling and appeal. Can not beat the warranty on Hyundai. This is my 4th Hyundai. Watch the service departments, I think they have good price for the car but they... Lots of standard features for the price. Nice styling and appeal. Can not beat the warranty on Hyundai. This is my 4th Hyundai. Watch the service departments, I think they have good price for the car but they squeeze you for service. The Elantra has a chain timing belt and a sealed transmission. Very low mandi tory maintenance. Would recommend these cars, I even bought my daughter one.